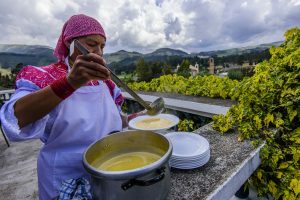 The lakes district in the Northern Andes is a beautiful area to explore, not only for its scenery and interconnected valleys, but also for the world-famous indigenous market of Otavalo, Ecuador and its fascinating community of local entrepreneurs. Here, under the watchful gaze of the majestic Mount Imbabura, visitors will find the quiet and harmony typical of this primarily Quichua speaking region. Read on for details of our three day Otavalo Cultural Trails adventure. 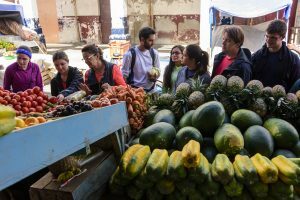 We pass the Mojanda community on their traditional pathways connecting to the city of Otavalo and make our first stop at the food market. What better way to understand a culture than by learning about their food! We will explore the market and learn about the different crops which are produced in the surrounding farmlands that we will explore over the next few days. Our expert guides will inspire you with information on the colorful, delicious fruits and vegetables while interacting with the “caseras.” From the food market, we head into the heart of this bustling city market – the Plaza de Ponchos, the biggest Indian market famous for its craft work. Our recommendation: wander and explore it on your own, interact and get a feeling for it. Our guides will be there to assist you in your exploration. After Otavalo, we will travel back in time to the small communities that surround this big busy commercial town, whose farmers, ranchers and craftspeople make the Otavalo market what it is. First we will explore the community of Peguche, and then continue along the path to a a beautiful 50 ft. (18 m) waterfall which is also an indigenous ceremonial site. 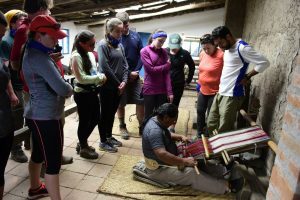 The hike continues to the town of Agato where we will be hosted by an incredible family that preserves the tradition of weaving on a backstrap loom. Sadly, this art form is slowly dying, so be inspired and help us support its conservation! The quality of the items produced at the workshop is clearly superior to many of the machine-woven products you may find in the market, and your purchase goes directly into the efforts of this community to revive this ancient art. In the second part of the day we will explore a more rural area as we hike above these communities. We will learn about small-scale agriculture, an important part of life in the valley. We will meet people that continue to farm their land and learn about the products seen earlier in the market, especially grain crops like quinoa. The scenery is gorgeous, and from this vantage point in the foothills of Imbabura you can see all the places we hiked through in the morning. If it’s a clear day. you can even see Cotacachi Volcano. At the end of the trail, our support vehicle will be waiting for us. After a quick transfer to the beginning of our trail, we will trek for around 4-5 hours. We will witness what the son of a liberal reformer and a wealthy, land-owning mother did during his lifetime that no landowner in Ecuador had ever done before, and perhaps has never done since. 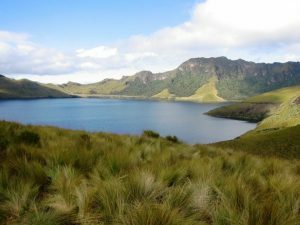 Our guide will teach us about the amazing and inspiring Plaza family story, as well as about our work with the local community of Zuleta to help develop one of the best ecotourism destinations in the northern Andes of Ecuador. 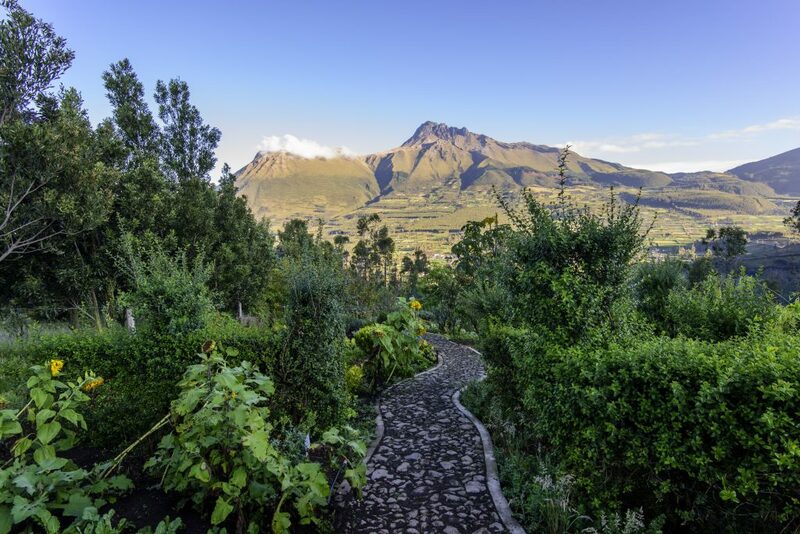 This agricultural area is famed for its traditional embroidery, dairy products, alpaca farming and highland crops such as wheat, maize, potatoes, lentils and quinoa. “Zuletenos” and “Zuletenas” are known to keep their culture and traditions – keep an eye out for the way the locals dress here and how different it is from the traditional Otavalo clothing. Lunch will be prepared by a local who kindly agreed to open his home and life to us and give us a cooking class! We will be using the different ingredients we have been learning about for the past few days. After lunch we will stop by the local embroidery shops before heading back to Quito or your next destination. ** You are welcome to stay longer in this magical valley and extend your stay in Zuleta community or the fabulous Hacienda Zuleta. Private transportation from Otavalo to Quito. Included: Bilingual Naturalist Trekking Guide. Transportation and support vehicle for luggage throughout the program. Meals as described on itinerary. Accommodation at comfortable lodges. Not included: Park Entrance fees. Tips. Alcoholic and non alcoholic beverages. Gear of any type. What to bring – clothes and mountain equipment: High ankle hiking boots (please do not bring new boots) and walking sticks. Long sleeve, synthetic, waterproof thermal jacket. A warm impermeable jacket with fleece (goretex or similar). Quick drying walking pants. Waterproof pants. Gloves, warm hat, sun hat and kerchief. A small towel. A flashlight lantern, water bottle, knife, sun glasses. Contact us for pricing or more information on our Otavalo Cultural Trails tour!